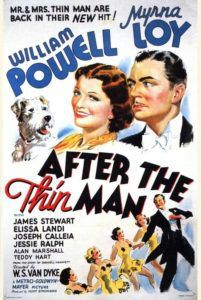 After the Thin Man belongs on a short list of great sequels that, while recycling elements which made the original popular and worthy of a sequel in the first place, also expands on that foundation. 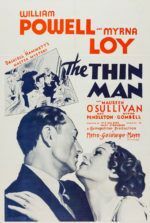 Released in 1936, it would be the first of five sequels to 1934’s The Thin Man, the mystery-comedy based on Dashiell Hammett’s hard-boiled novel. 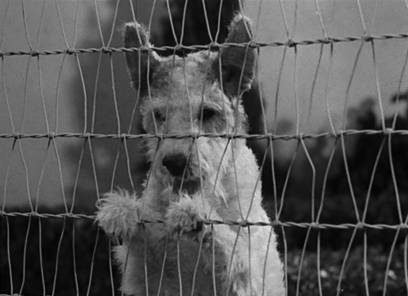 The huge box-office success for Metro-Goldwyn-Mayer had made Nick and Nora Charles, along with their spry wire-haired terrier Asta, household names and beloved characters. Nick and Nora, played by the suave William Powell and charming Myrna Loy, represented the perfect married couple, he a retired private detective and she their well-to-do bankroll. The two exude limitless chemistry and sophistication in their sharing of countless private jokes, endearing flirtations, blissful irresponsibility, deftly comic asides, and, of course, their ever-partying lifestyle, lubricated by regular doses of alcohol. The sequel gave audiences another light-hearted Nick and Nora mystery to solve, but this time with a bigger budget and grander expectations to appease. 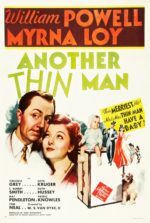 And while sequels generally disappoint, After the Thin Man demonstrates its predecessor’s nimble juggling act between comedy and murder mystery, once again finding that rare balance between suspense and laughs. After the resounding popularity of The Thin Man, MGM pledged to make a sequel and hired Hammett back to work with the original’s screenwriters, the husband-and-wife team of Albert Hackett and Frances Goodrich. Almost immediately, the studio ran into trouble with Hammett who, upon getting “back on the booze pretty heavily” according to the writer himself, disagreed with MGM on where the story should pick up. Hammett wanted every supporting character from the original to have a role in the sequel, down to the smallest part. But The Thin Man ended with Nick and Nora heading home to San Francisco from New York City and, since the studio was determined to shoot in San Francisco, Hammett couldn’t include the original’s New York-based supporting players. Nick, Nora, and Asta would have to engage in a new mystery separate from the first film, and one written exclusively for the screen. Hammett conceived the mystery, while the screenwriters added the comic panache—although they too quarreled with the studio about the story’s direction. After all, Hackett and Goodrich never cared for their work on The Thin Man and proposed killing off Nick and Nora at the end of After the Thin Man, if only to ensure they wouldn’t be asked to write another sequel (despite earning an Oscar nomination for their work the first time around). Their suggestion was quickly vetoed by the studio, but they conceived another kind of sabotage: End the film where the audience learns Nora is pregnant—surely a child would stop the Charleses from getting into another adventure. As Another Thin Man would prove in 1939, it didn’t. The story opens with Nick and Nora train bound to San Francisco, with New Year’s Eve just around the corner. They’re greeted at the station by reporters curious about Nick’s famous “Thin Man” case in New York, and as the couple make their way off the platform, After the Thin Man engages in one of its only moments of “sequelitis” when Asta stops to smell the station’s pillars, halting Nick, Nora, and a gaggle of pressmen who are hilariously forced to stop with him—repeating the famous comic gag from the original. They arrive at home wanting nothing except a quiet evening of sleep after a long train ride, only to find their house filled by a welcoming party. The phone later rings, and it’s Nora’s cousin Selma (Elissa Landi) who’s in some kind of tizzy, but then elderly Aunt Katherine (Jessie Ralph) takes the phone and tells Nora that she must see both Nora and Nick right away—a surprising request as regal Aunt Katherine has long despised Nick and his societal status. By this time, Nick’s repute has been firmly established. 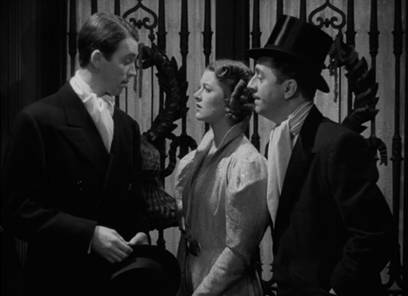 Earlier in the film, while driving home, Nick is welcomed by countless shady types; but when Nora says hello to a couple in a top hat and fur, Nick asks who they are. “Oh, you wouldn’t know them, darling,” Nora says, “They’re respectable.” Meanwhile, one of the film’s funniest comic asides occurs when the Charleses get home and Asta heads around back to his own dog house to find Mrs. Asta has given birth to a new litter of puppies. But one of these pups doesn’t belong, looking suspiciously like the black Scotty who lives next door. All at once, the neighbor dog emerges from a hole under the fence. Asta chases him away and buries the entrance. Mrs. Asta has been a bad girl while Asta was away. The murder mystery proceeds when we learn Selma’s less than decent husband Robert (Alan Marshal) has disappeared, and worse, he’s promised to give Selma up if Selma’s former fiancé David (Jimmy Stewart) pays him a sum of $25,000. David, a seemingly genuine fellow, says he’s willing to pay, but someone beats him to the punch. When Robert ends up dead, shot to death by someone—we don’t know who just yet—Nick learns that the suspects are many, given Robert’s various associations with criminal types. There’s Dancer (Joseph Calleia) and Lum Kee (William Law), co-owners of a Chinatown nightclub, their duplicitous singer Polly (Dorothy McNulty), and her lowlife brother Phil (Paul Fix). Another two victims, Phil and an innocent janitor, end up dead as well, and Nick’s investigation leads to another assembly of all the suspects, relying on a pivotal slip of the tongue to solve the case. And, of all the pictures in the Thin Man series, the mystery of After the Thin Man is the best, if only because audiences would never guess that clean-cut Jimmy Stewart would be guilty. This was an early role for Stewart, who had not yet become a genial, all-American Hollywood figure, but his affable presence in the film still surprised audiences when his character turns into a raving madman in the climactic scenes. The effect is even more pronounced today, with Stewart’s persona firmly established. While the writers intended the series to end with the final scene of Nora announcing her pregnancy, it’s further evidence of Nick and Nora’s amiable union that they continue being blithe and riotous in their domesticity through future sequels. 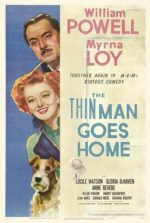 Ever-quotable and admirably sophisticated, After the Thin Man demonstrates that the relationship between Nick and Nora is why audiences kept returning to moviehouses for their next adventure, while the murder-mystery is a garnish of the best kind. 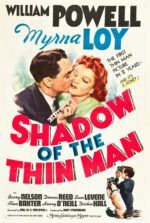 Solid box-office performance and universally enthusiastic reviews ensured MGM would make Another Thin Man in 1939, but the series would begin to show signs of repetition in the films to come. 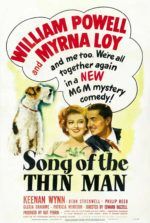 With allowances made for typical sequel moments and some off-color racial representations, only After the Thin Man has all the urbanity, genre balance, and pure laughs of the original film. The first sequel’s clever dialogue (“Come on, let’s get something to eat. I’m thirsty.”) and the onscreen appeal of Powell and Loy are thoroughly enjoyable, while the scenario is packed from start to finish with either thrills or amusing gags. In short, it’s a perfect sequel, which itself is a rarity.